Computational Mechanics in Solid, Structures and Coupled Problems in Engineering is today a mature science with applications to major industrial projects. 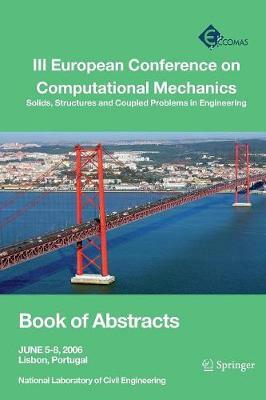 This book contains the edited version of the Abstracts of Plenary and Keynote Lectures and Papers, and a companion CD-ROM with the full-length papers, presented at the III European Conference on Computational Mechanics: Solids, Structures and Coupled Problems in Engineering (ECCM-2006), held in the National Laboratory of Civil Engineering, Lisbon, Portugal 5th - 8th June 2006. The book reflects the state-of-art of Computation Mechanics in Solids, Structures and Coupled Problems in Engineering and it includes contributions by the world most active researchers in this field.